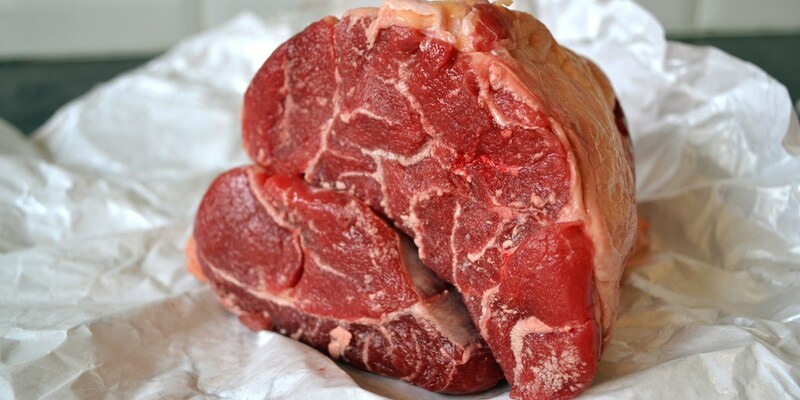 Beef shin comes from the foreshank of the animal and, due to the the vast amount of work the muscle does, is full of connective tissues which makes the meat very tough. This means shin benefits from being cooked low and slow in order to break down all the fibres and turn it into unctuous, gelatinous meat which in turn thickens the sauce in which it is cooked. Beef shin is generally a very cheap cut because of the long cooking time required and is sometimes seen as undesirable – but the results are well worth the wait. Shin can be bought on or off the bone, in whole pieces or diced. However you buy it, it’s always a good idea to keep the bones and add them to the pot, as the bone marrow will add a wonderful richness and flavour to your sauce. Below is a simple method for creating a warming beef stew out of of beef shin home. Ale or stout make a welcome addition to braised beef shin, lending a deep, rich flavour, or you could try deglazing the pan with some red wine after browning the meat for a more European-style dish. You can add any kind of vegetables you like to the stew – just bear in mind the cooking times. Root vegetables are more robust and can be added earlier, whilst green vegetables cook quickly and should only be added right at the end of cooking. Alyn Williams serves his Slow-cooked beef shin with quinoa, wild garlic and Parmesan. Henry Harris uses bacon and a hoppy IPA in his Beef carbonnade recipe, a dish based on a Belgian classic. Georgina Fuggle uses zesty South Asian flavours in her Soy, sweet potato and beef pot with deliciously tangy steamed lime rice.